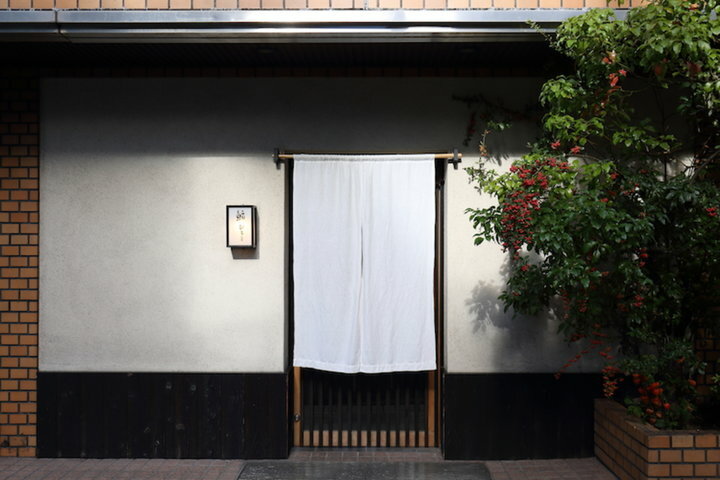 "Sushi Matsumoto" is located in a quiet residential street away from the bustling streets in charming Kagurazaka, Tokyo. The owner Miki Matsumoto gained 20 years of experience in the Washoku division of a hotel and a sushi restaurant in Tokyo before striking out on his own in 2012. 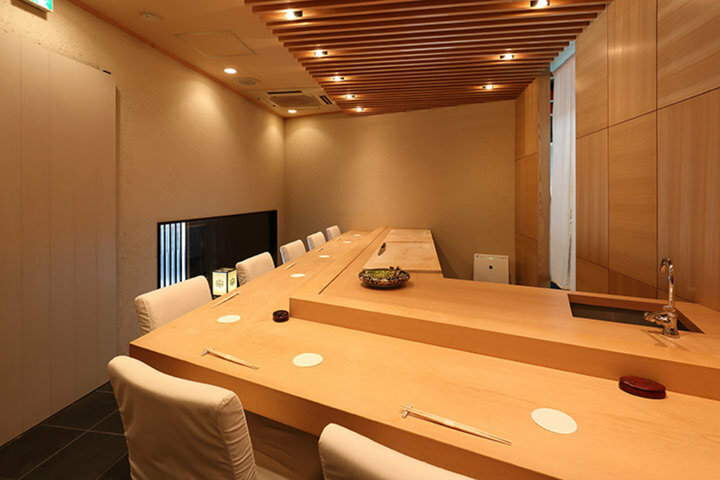 With the enthusiastic attitude that "each day is training for growth" and the belief that "creativity means returning to the basics", Mr. Matsumoto looks to the past to challenge himself to reinvent traditional Edomae sushi. 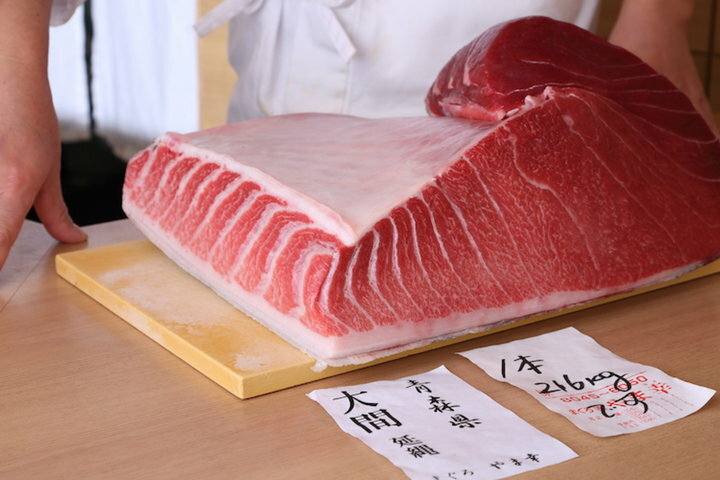 High-quality seasonal ingredients from all over Japan are carefully selected at Toyosu(ex. Tsukiji) Market. 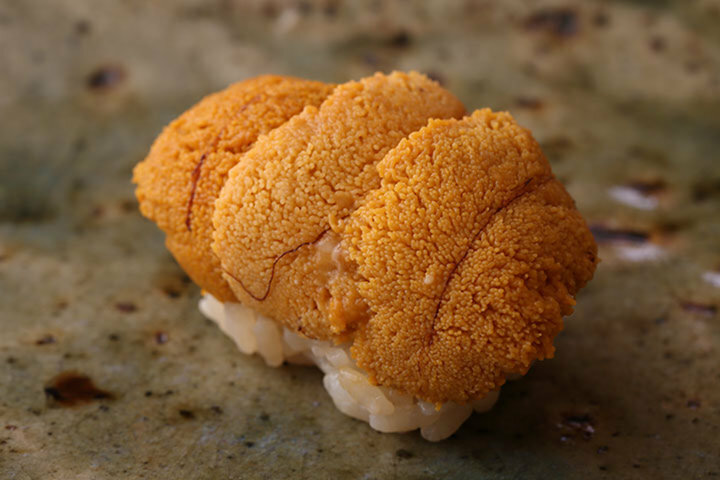 The rice used for sushi is painstakingly grown from soil that has taken more than 10 years to prepare. 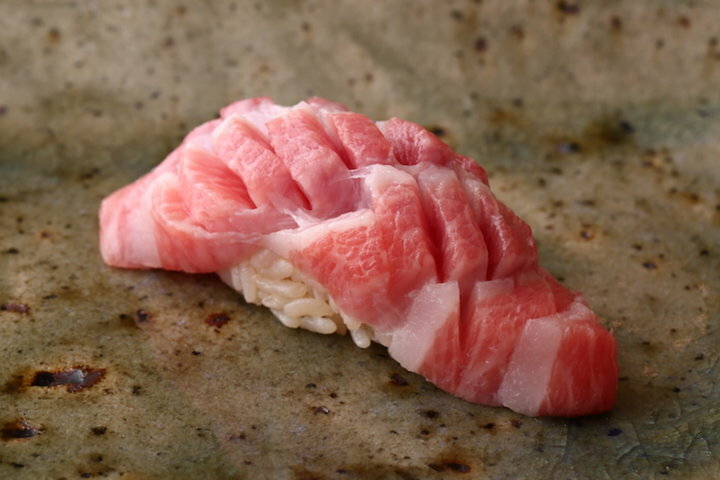 A blend of 5-year-old, 3-year-old red vinegar, and rice vinegar is mixed into this rice to create a unique kind of sushi rice. "At Sushi Matsumoto", care is taken to calculate the right temperature for sushi rice, thereby ensuring a top-grade product. Furthermore, a lot of thought has been put into the a la carte dishes, allowing diners to experience the pleasing harmony of flavor and ingredients. There are more than 5 different types of Japanese sake to choose from to go with the sushi, from the sweet to the dry. 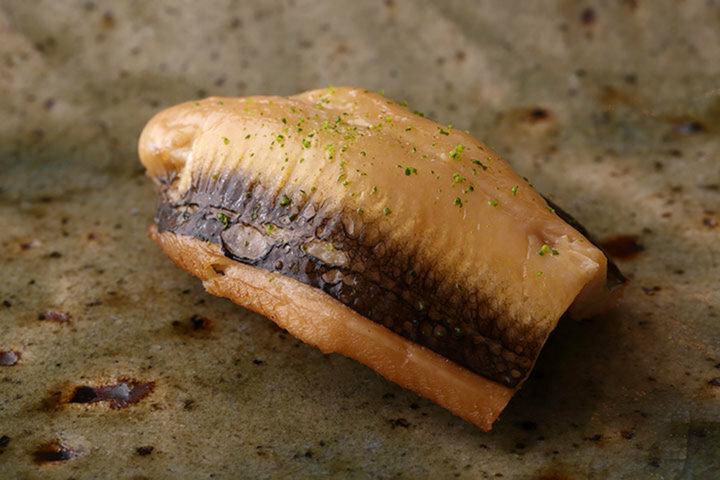 The dry sakes go well with Mr. Matsumoto's nigirizushi. Please feel free to choose from wine, champagne, and shochu available to match the mood or occasion. Step into the warm wooden interior of the shop and find a counter made of a single piece 300-year-old hinoki wood, which seats 8. The walls have been plastered by craftsmen with a finish that incorporates straw; together with the double doors, they shut out noise from outside, a thoughtful touch to create a space where you may enjoy your meal in peace and quiet. Be it for business purposes such as company meals or entertainment, or to spend time with your family and loved ones, you will be able to enjoy a blissful time here. 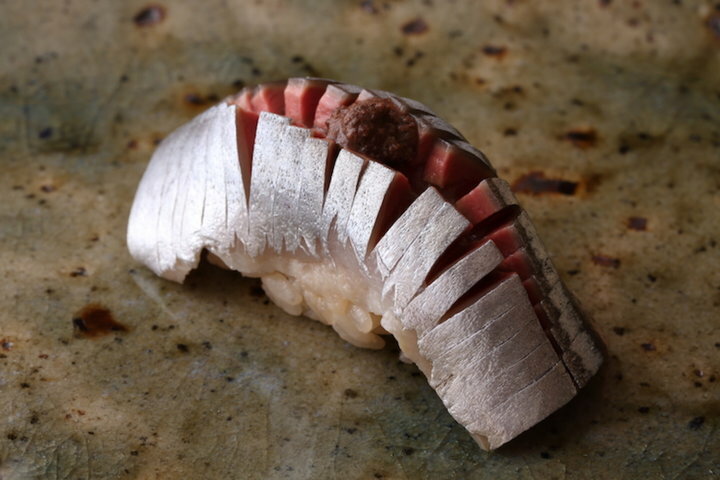 In this corner of Kagurazaka, replete with the essence of Japan, please savor a superb piece of sushi made by the owner, who keeps his origins in mind. *The availability of this webpage does not guarantee that the restaurant presented provides services in English unless otherwise stated. Please be aware that English services may also depend on staff availability at the restaurant.